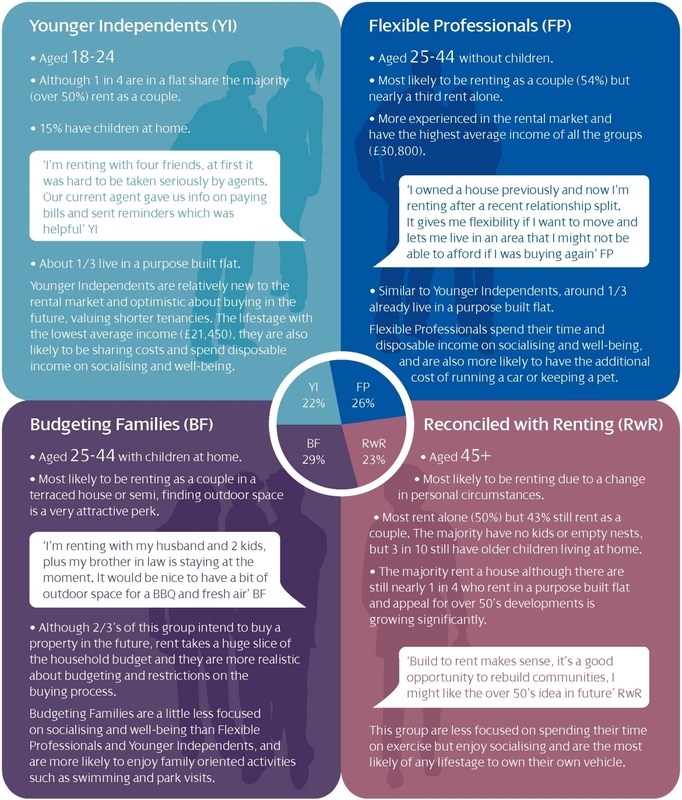 Optimistic about buying the future this group values the freedom offered by short tenancies. They share costs and spend on socialising and wellbeing. They spend on socialising and wellbeing and are more likely to own a pet or a car. With slightly less of a focus on socialising and wellbeing, their spare time is focused on family activities. Focused on exercise, they enjoy socialising and are likely to own their own vehicle.